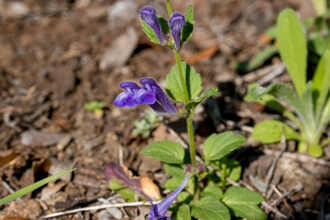 A common trait of most Salvias is that they have opposite leaves with round stems that start out square and the flower is a colorful corolla having two lips of unequal length. 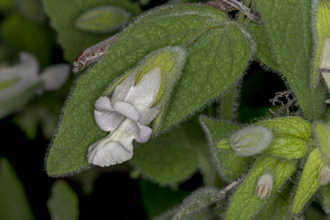 The Black Sage shares several of these traits and has a two-lipped calyx (the part of the plant that holds the Corolla). A frequent companion of Black Sage is Sagebrush. The more well-known Sagebrush (Artemisia californica) is not related to this group of plants and is instead a member of the Aster family. 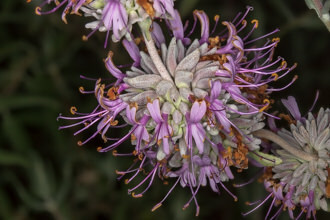 What Sagebrush and the Sages have in common is pleasant fragrance produced by the plants. 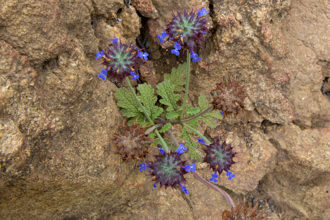 On occasion, many of these plants can be found next to each other although the plants tend to self-segregate by the amount of annual precipitation and a preference for northern or southern exposure. 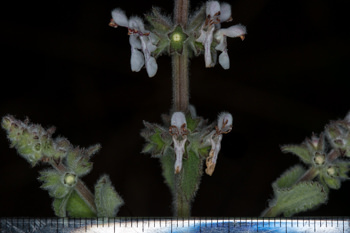 Black Sage plants average three feet in height. 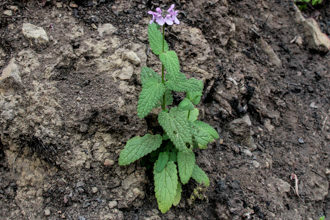 Under ideal conditions, the plant can reach six feet in height and 10 feet in width. The plant's dark green leaves with raised texture look like an aerial image of trees and streams when viewed through a hand lens. 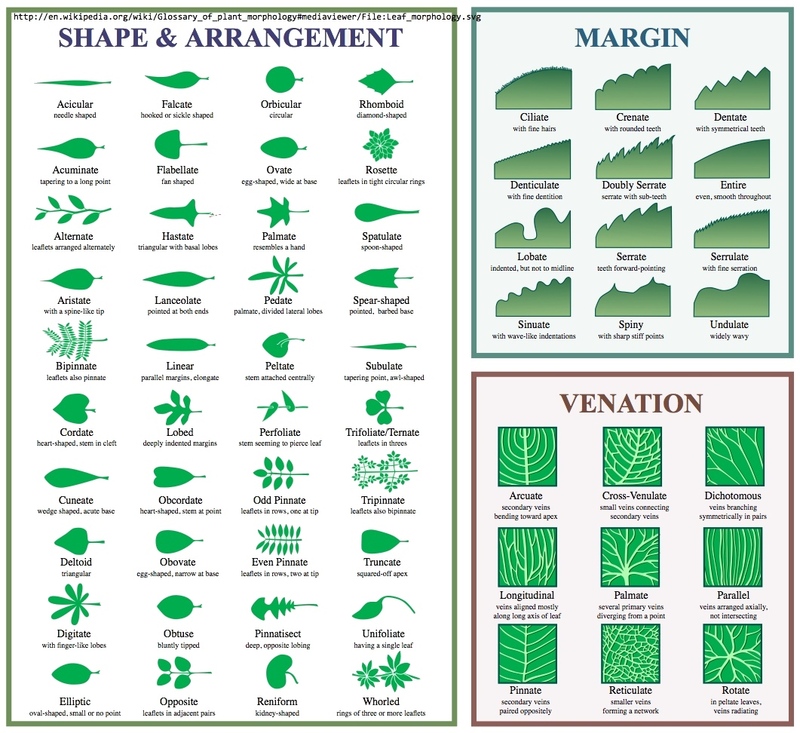 The leaves vary from one to three inches long and are slightly crenated (a precise word describing the leaf margins - I have included a close-up picture of the leaves). The upper surface is considered to be glabrous (lacking hairs), while the lower surface of the leaf is hairy. Part of the ability to adapt to its environment is that it can be semi-deciduous. In low water years, the leaves will curl up instead of dropping. The color of the plant appears dark during dry years - which may be why it is called Black Sage. Brush up against Black Sage, and you find that this plant transfers its scent you and your clothing. 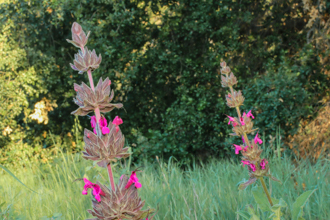 Black Sage hybridizes with three other Salvias: Salvia apiana (white sage), Salvia leucophylla, and Salvia clevelandii which make identification more challenging! 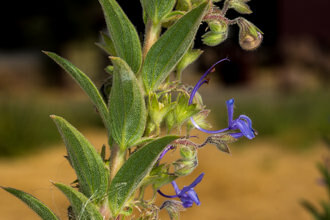 Black Sage has light purple flowers that range from white to blue, bi-colored filaments (white fading to purple at the tip) and four Stamens (two sterile and two functioning) protrude from the flowers. The arrangement of flowers is a condensed cyme with several verticils (the ball or clustered arrangement of flowers around the stalk aka whorl). After careful observation, I realized that the Black Sage flowers grow on stalks that branch - compared to Purple Sage which clearly does not branch. The precise language of Botany helps distinguish the differences! 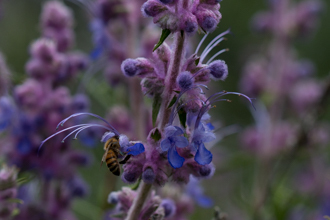 Under ideal growing conditions (non-drought years) a peppery honey can be made from the nectar of this plant. Spend a few moments observing this plant, immersing yourself into this world within a world. 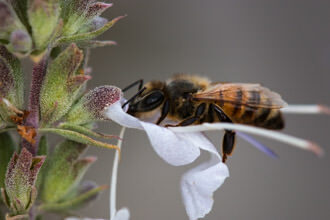 You are likely to see more insects, bees, and butterflies around these sage plants than on any other plants. Last modified: March 31 2017 21:09:02.